What starts as unexplained foot and ankle pain can turn into a bone infection, called osteomyelitis, within days. The porous nature of bones gives infectious microbes a fast route to travel throughout the body, which requires antibiotics or even amputation for treatment. That’s why we urge New Yorkers to call The Center for Podiatric Care and Sports Medicine at the first sign of trouble. The sooner treatment can begin, the better the chances that any issues don’t progress into something serious and irreparable. 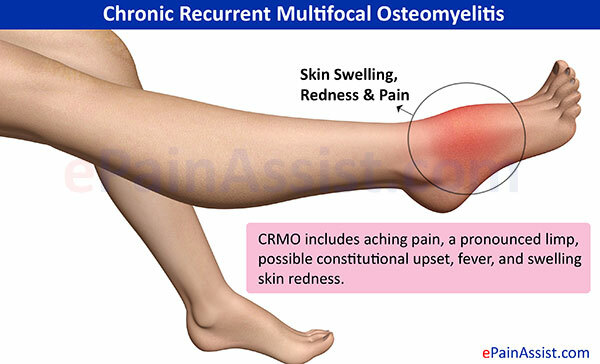 Osteomyelitis is a serious bone infection. Helen Peate of Orange, Australia, was out working in her orchard one day ten years ago when she had an accident. The pain in her leg persisted for some time, and then it was determined that she was suffering from osteomyelitis. She underwent surgery last year, having her leg amputated to prevent the infection from spreading further. “At the moment, I am coming in here seven days a week for my treatment — for the bandaging and for antibiotic treatment,” she told her local newspaper. It was a harrowing surgery, she recalled, describing a near-death experience when her lungs collapsed during the amputation. “I felt I was walking away from everyone through long grass and I could hear their [medical staff] voices fading. Then all of a sudden I was back. It is still a vivid memory for me,” she said. Bone infections are certainly scary, which is why it’s so important to take every injury seriously. Do you know the signs and symptoms of osteomyelitis? We most often see osteomyelitis related to diabetic foot wounds, but there have been instances of healthy adults and children being affected, as well. The Cleveland Clinic estimates that two in 10,000 people are affected by bone infections. It is our experience that early intervention can make all the difference in the world for your treatment options. A New York podiatrist can diagnose osteomyelitis through bone scans, blood tests, and biopsies. Don’t let these signs of osteomyelitis go unnoticed! The first step in treating osteomyelitis is identifying the particular bacteria that has infected you, and determining the proper antibiotic designed to treat it. The usual course of treatment is about four to eight weeks, and most patients make a successful recovery without further complications. However, when there is a long delay in treatment, surrounding bones and tissues may be affected, and more aggressive treatment will be needed. We may need to drain the wound or abscess with a needle. A splint or cast may be needed to immobilize the affected area. Children, in particular, fare better with immobilization to prevent further damage to the bones. Surgery is rarely considered because invasive intervention does not always yield better results. A clinical study of 18 patients published in the journal Diabetes Care found that antibiotic therapy and surgery had similar outcomes in terms of healing rates, healing time, and complications. However, surgery may be necessary in advanced cases of rapidly necrotizing tissue. Amputations are typically reserved for cases of chronic osteomyelitis that does not respond to any other treatment. If you suspect you may have a bone infection, do not delay. Book your appointment at our Manhattan or Westchester, NY, office online right away. Our podiatrists can determine the best course of action for your particular situation. Our goal is to give you the best care, using the latest advancements in treatment. We will work with you during your recovery, getting you on the path to full mobility and health.